Here in this article we will learn to connect to remote machine using Eclipse IDE. 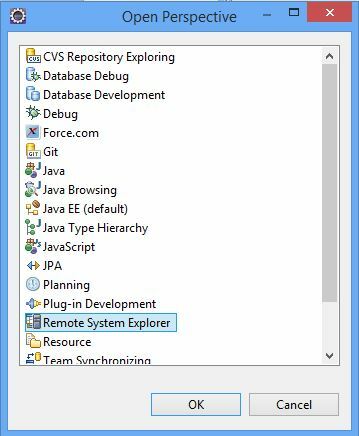 The Remote System Explorer (RSE) is a perspective and toolkit in Eclipse Workbench, which allows you to connect and work with variety of remote systems with the predefined plug-ins. In order to connect to remote system first we need to open Remote Systems Perspective. To open given perspective click Window >> Open Perspective >> Other. Once opened select desired perspective. Once opened Eclipse IDE will look like below. Next step would be to define a new connection to Remote System. In the RSE Perspective, Remote Systems View, press the New Connection button. 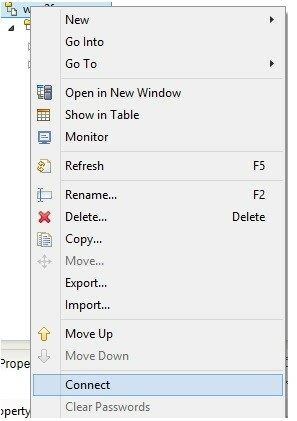 Once above button clicked a new window will opened like below. Eclipse IDE supports different system types to connect. SSH Only: Connection for SSH access to remote systems. Telnet Only: Connection for Telnet access to remote systems. UNIX: Any distribution of UNIX. 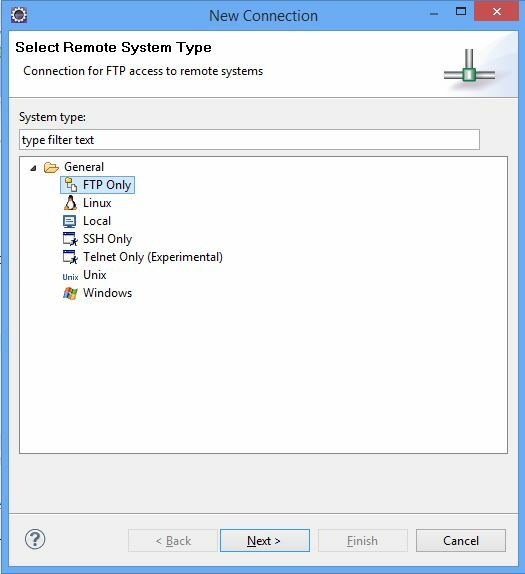 Select remote system (FTP Only in this case) from given window and click Next. 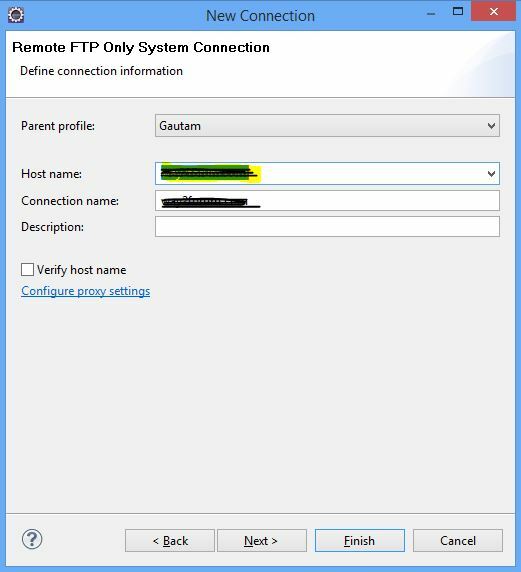 Once remote system type is selected, next part would be to provide connection details(HOSTName) in the next Screen as below (FTP only). And click Finish. If everything is fine then a new Remote connection will be created in Remote Systems View as shown below. Now select the connection and right click then choose “Connect” option from menu. 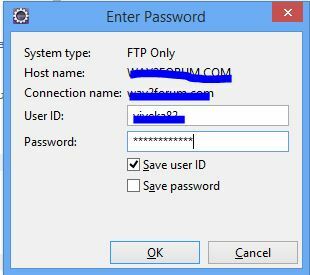 Provide User ID and PWD in popup window and click OK. If everything is fine Eclipse should be connected to Remote machine and you can check the output in Console view. Please provide the error you are getting. I have finished all the steps as you mentioned above. But i didn’t get the output in console windows its showing error as : Daemon Failed to lauch server on 192.168.2.108 using port 0. pls help how to solve this. Make sure that the DataStore daemon is running on 192.168.2.108. Check the error carefully. 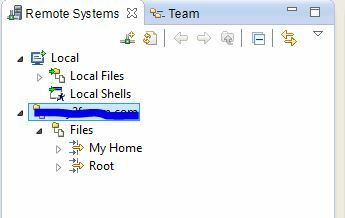 Problem is with remote system and not eclipse. Daemon thread is not running on remote system. Before trying from Eclipse try to connect to remote ststem using any SSH client like putty. If you can connect using Putty then there should not be any problem while connecting using Eclipse. I want to connect to putty in which i want to use a application which is running in putty.Can you tell me ways how can i establish connection?